After the great fire of 1866 in Portland destroyed more than eighteen hundred buildings and left 10,000 people homeless, the Portland City Council appointed a committee to buy land within the area of the burnt district for a public square or park. The land was to act as a firebreak if needed. For the sum of $83,000, the city purchased a 2.5 acre piece of land that was first called Phoenix Square. The name was changed to honor President Lincoln in 1867. The plans for the park were carried out under the direction of architect, Charles Goodell. 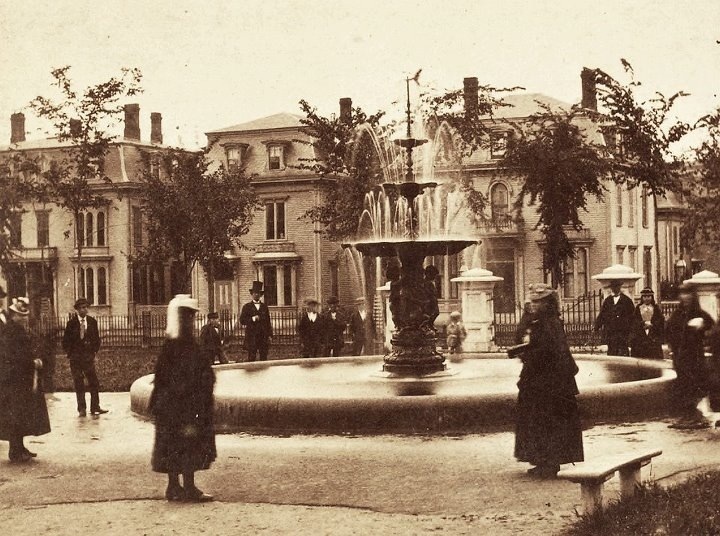 In 1871, the fountain was added. Although originally intended as a promenade, the park became famous for its flowerbeds and shady elm trees. For a long time Lincoln Park was the centerpiece in the City of Portland. Three churches were built around its periphery, and in the twentieth century civic structures were added. Ceremonies honoring the 100th anniversary of the birth of Abraham Lincoln took place in the park in 1909, attracting large crowds. 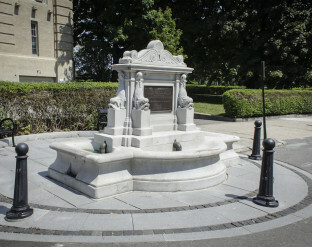 More recently, the city has been working to restore the fountain to its original character. In 2012 the City replaced the internal plumbing with a more modern system. 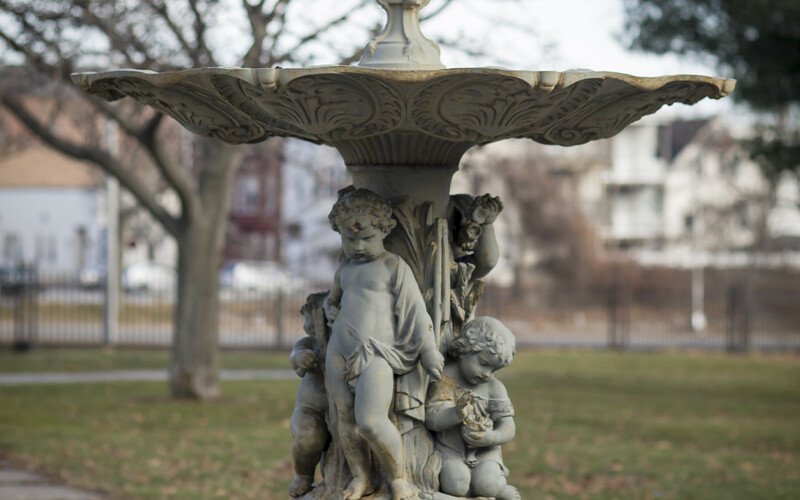 As a result, the fountain is turned on at key times during the warmer months. 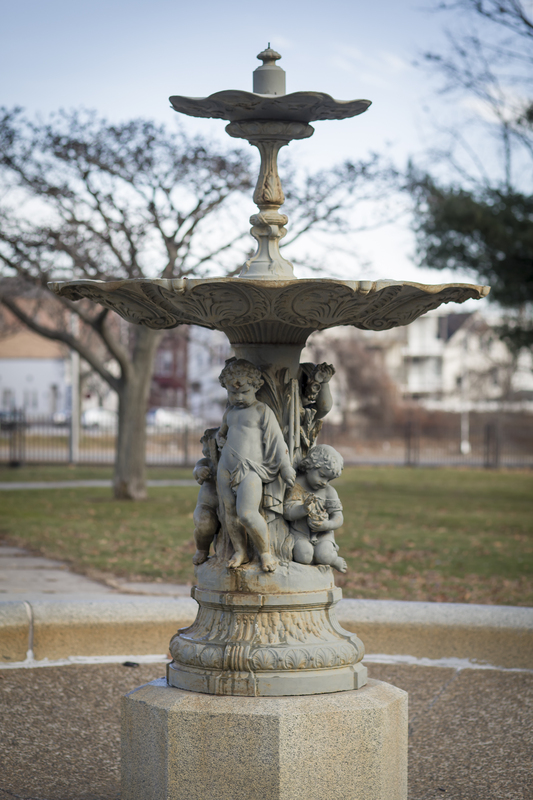 Additional repair work planned for the drainage system will allow the main bowl of the fountain to fill with water. Lincoln Park is Portland’s oldest park, but the park has changed over time. 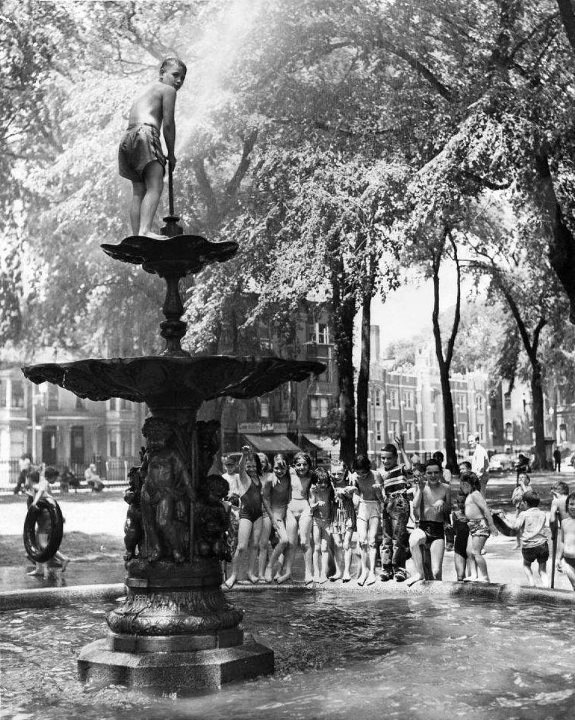 The park lost many of its elm trees and a quarter of the park was eliminated for the construction of the Franklin Street Arterial in 1968. 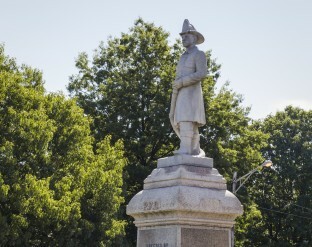 It was added to the National Register of Historic Places in 1989, and a “Friends of Lincoln Park” group formed in 2012. 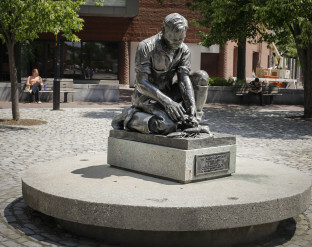 Art in Our Front Yard Lincoln Park Fountain from Portland Public Art Committee on Vimeo.